The next morning though it was time to go back to Church, it was Baptism Sunday, I was looking forward to it, not that I was getting baptised, but because I had never been to one and I wanted to see what it was all about. At that point I still didn’t really understand much about being baptised, I had been informed that this was coming up, but as I still didn’t feel I was ready, coupled with the fact I was busy with karate things, not only the National Championships the day before, but the Sunday afterwards was our club grading, as I was busy preparing for that too, I decided to wait until next time, to watch this time and then when I had more time, I would find out more about what it means and make a decision about it later. I sharn’t bother with a coat, I’m not bothered if I get wet today. I thought that it was quite a strange choice to make, but I went with it, I walked to Church and it didn’t rain after all. Something felt different that day, by the time I walked into Church, I was definitely feeling the spring in my step, I felt good, I felt encouraged and expectant. After three months in Church I was now enjoying the worship, I had been singing along with all the songs and beginning to get more comfortable with it, a far cry from the those early weeks when I stood watching everyone else, wondering not so much why they were doing what they were doing, but why I wasn’t doing it too, would I even let go enough to worship like everyone else was. Maybe I still wasn’t moving around as much as some of the others, but I was certainly getting into it more than ever. After worship Gareth took to the stage to welcome everyone and that’s when something happened, something that really changed everything. He started by stating that he had never done this before, but really felt the Lord saying that someone in this place was going to make the decision to get baptised today. They don’t normally give people the option to make that spur of the moment decision, but today he felt he had to, he added that they hadn’t prepared for it, but stated if someone wished to make that choice, they would find spare clothes and extra towels from somewhere, he didn’t know where, but they would sort it out. It was at that point that I just sat in my seat, frozen! It was like time stood still, only I was there in that room now, but everything inside my chest had frozen, my heart, my lungs were just frozen, for a moment I couldn’t breathe. I sat there still frozen and suddenly my mind sprung into action, it was telling me that He was talking to me, not Gareth, he may have said the words, but He was talking to me now, God was telling me I was ready, maybe I didn’t think I was, but God thought I was. Gareth finished his welcome and the service moved into connect time where people meet and greet each other. But I sat for a moment in my seat as everyone moved around me, inside was this internal struggle, are you doing this or not? I was running through all this in my head, I knew He meant me, but I’m not usually that impulsive, I plan things like this that take me out of my comfort zone, I didn’t have a clue what this entailed, I understood what a baptism was, but didn’t really understand what it meant to me and if I was ready for this step yet. But I was repeatedly being told to make that decision, it was my time. So I suddenly stood up and scanned the room for where Gareth was, I spotted him and walked over to where he was. I ignored everyone I walked past, if I stopped to speak with them I may miss this moment, if I didn’t do this now, I probably would sit back down in my seat and stay there and miss the chance. I walked up to Gareth, he was talking to someone, I put my hand on his shoulder, he turned to look at me and I simply said… “Okay where do I get the spare clothes from?” He instantly realised what I was saying, a warm smile came across his face. We spoke for a moment, he said he would sort things out and I was just to join in at the end of the service when the baptism took place. I went and sat back down, grinning to myself, I still couldn’t actually believe what I had just agreed to, I’m not impulsive, I don’t like going outside my comfort zone, I didn’t know what was going on and I was fighting the apprehension and excitement. When the service resumed Gareth took to the stage and introduced the three people who had actually decided to be baptised, who had actually prepared for it and were ready, he called all three to the stage to share their testimony. He didn’t mention me, when I spoke to him later he said he was just going to introduce me at the actual baptism part later, but I wasn’t sure what to do, should I go up there, he hadn’t said my name, he hadn’t mentioned me, I guess they were still sorting things out for me, but I sat there wondering if I should join them on the stage or not, was I supposed to or not, obviously I wasn’t expected to. So in another act of complete impulsiveness I jogged up to the stage, obviously taking Gareth by surprise and joined the other three people. I stood there as one by one they were handed the microphone and they nervously told their story. They had all prepared what they were to say, two of them had pieces of paper with notes on, but with their heads down they stuttered over their words, while I stood there waiting. For some reason I couldn’t wait to get my hand on that microphone, I wanted to talk. Normally you would never get me on a stage, let alone put a microphone in my hand and expect me to talk, no way, that’s just not me, it’s not in my nature, it’s not who I am, but for some reason I was really eager, what was happening here was something else, it just wasn’t me and to this day I still can’t believe I actually did all of this. When the other’s had finished, Gareth introduced me and I took the microphone and told my story. It was the first time I had spoken about it all in this way, normally it had been a discussion with one of two other people, an intimate conversation, a conversation where I could see the face of those I was talking to and gauge their reaction to what I was telling them, but now I was looking out over a couple of hundred faces, many I didn’t know and they didn’t know me, but I was going to tell them all about how I had failed, all my sins, my addiction, if they didn’t know about it by now, they were soon going to. I found myself getting more passionate the more I spoke, I’m not sure how long I actually spoke for, all I know that it is was probably more than any of the others. Afterwards I felt a little sorry for the other three, it was their day, they had planned it, but I gate crashed the party and took all the attention, I didn’t mean any of it that way, not at all, I hadn’t planned any of this, I wasn’t really in control here, I wasn’t acting anything like I normally would. After that I took my seat and listened to the rest of the service, waiting with that feeling of apprehension and excitement. All I had come with was what I was wearing, a pair of jeans and a t-shirt, I had nothing else with me. A friend who sat near me insisted that he go and fetch me some clothes, I said I would be fine as I was, but he wouldn’t hear no and set off to fetch me some things. After the service there were a couple more worship songs, one of them we had sang a number of times over the few months I had been in Church, as I sang along though it made me cry, not in a bad way, not in a pain or hurt kind of way, but in a way where you suddenly realise how God has just touched your life, when we sang the words to the Lincoln Brewster song I Belong To You, particularly the lines…. I suddenly realised how he had placed has hand on my life this morning, I thought back to earlier in the morning when I froze and for those few moments I couldn’t breathe, how at that point I knew in my heart that He was speaking to me, He wanted me. It didn’t matter whether I felt ready for the next step, what mattered was the He was telling me I was ready and He was letting me know. By the time the actual Baptisms started, I still didn’t have anything to change into afterwards, by now the nerves had taken over the excitement, but I was still looking forward to it. I didn’t really know what I was to expect, I had never actually spoken to anyone about being baptised, I hadn’t heard anybody else’s experiences, how they felt in the pool or how it changed their lives, I didn’t know what to expect, I didn’t know what was going to happen or how I was supposed to feel when I came out of the water. I have to say I didn’t climb down the steps into the pool gracefully like the others, I jumped in, got into position and then let it all happen. The rush, the excitement was amazing, when I came out I was buzzing, I’m still not sure how I was supposed to feel, but I was on top of the world at that point. When I walked away from the pool, I was handed a towel and then from somewhere a bag of clothes, they weren’t from my friend who had gone to fetch some things, he still hadn’t got back yet, but Gareth made good on his promise, from somewhere the Church had provided. The only problem was, although there were clothes, obviously there was no spare underwear, I had to put the dry trousers over my wet underwear, but obviously in time the water soaked through the trousers and it looked like I had wet myself, but who cares about that, none of that mattered! After that I met so many new people I had never spoken to before, so many people came up to me and wished me well, so many said how proud they were of my courage to stand up there and be so honest. I couldn’t stop smiling all day, also I couldn’t stop laughing at myself, I still couldn’t believe that I had done any of what had happened that day, I still can’t. But God works in ways we aren’t really meant to understand. James wasn’t at the service that day, he was at our other campus in Wellingborough, later in the day I sent him a text, to let him know what had happened earlier and to say thank you for all the help he had given me, but he already knew! I had not actually been introduced to James’s wife Gemma, but from what I understand as soon as she realised that I had made the unexpected choice to be baptised, she sent James a text in the middle of the service to let him know. It may seem a simple thing to do, but I was blown away by it. She knew what it would have meant to James to have been there, knowing how much support he had given me, even though we didn’t know each other, she did this for him and for me. Later that night I sent her a message of thanks, she said she knew how much it would mean to James and how much he thought of me, that she just had to let him know. To this day I am still blown away by that simple act of kindness. In a way life after that day became so much easier. The drinking was no longer a problem, I had complete control over that now, I hadn’t had an urge to drink for some time, there had been a few since that dark night when I was in a world of pain and alone, but over the next few months I really began to grow spiritually, even if I was still shrinking physically. I was still working hard and losing weight, but in a moment of loneliness at home I found a new way to exercise and to actually spend more time with God. I was at home alone one weekend, the kids and Victoria had gone out to a family birthday. So I planned in the afternoon to take a walk down the old railway track near our house, which had been turned into a cycle track, it’s about four miles long and at steady pace takes about three hours to walk. The weather was pretty good and I really enjoyed the walk. When I got home they were all still out and would be all night, so I made some tea and sat down to watch the Olympics on TV. But I became restless and a little lonely. So as I had enjoyed my walk so much earlier that day, I decided I would go out again. I grabbed my iPod and walked, I had no real goal of where I was going, no destination, I just walked around town, I just carried on walking. I walked for a few hours then came home. When I came home I found that I had actually had some amazing thinking time, all the problems I left the house with had vanished in the few hours I had been out, everything that was heavy on my mind, I guess the loneliness I was feeling being in the house alone had all gone, I had committed it to God and He had lifted it from my shoulders. A few weeks later Victoria and Eve went to kids camp for the week and because I was working Ben went to stop at his Gran’s, once more I found myself alone in the house, feeling a little sorry for myself, so each night I found I would go out walking, again I didn’t know where I was going, I just did laps of the town, I walked for two to three hours, probably around eight to ten miles, it didn’t matter, I had a playlist of worship music that I was listening to and all my problems were eroded away with every step that I took. As I say I found a new way of dealing with things, keeping fit, losing weight and more importantly spending time with God. Eventually I ditched my normal morning exercise program that I would do before going out to work, I would get up early, get dressed and go walk for an hour or so, I upped the pace a little over the weeks and eventually I found I could walk for long periods at close to five miles an hour. At the weekends I would walk for over thirteen and half miles in around three hours, even on a Sunday before going to Church. One morning when I was off work I decided to see how far I could actually walk, so I did my usual thirteen and half mile lap twice, completing over twenty seven miles without stopping. Because I knew that what I had just walked was over the marathon distance, when I got home I checked on the times people had ran the London Marathon that year, indeed over five thousand people actually “ran” that distance in a slower time than I had just walked it! Eventually I got my weight down to ten stone, but to be fair I looked a little thin, so I settled on my average weight to be 10 stone 4lbs, I was happy at that. This entry was posted in Faith, Sobriety, The Story So Far and tagged Alcoholic, Alcoholism, Awakening, Baptised, Baptism, Christ, Church, Everyday Champions Church, Faith, Freedom, Friends, God, Hope, I Belong To You, Inspiration, Jesus, Lincoln Brewster, Prayer, Rebuilding, Recovery, Sober, Sobriety on April 7, 2015 by waynemali. So following on from my post Thoughts On 125 Of Sobriety & Freedom, what follows every great milestone in my sober journey is the same anniversary of my first walk into Everyday Champions Church, my first by my own will that is. When things went pear shaped here at home, I went on a drinking bender, following that painful Tuesday evening I began drinking more than ever, by this time I couldn’t stop myself, if I tried I ended up restlessly pacing the house, rubbing my hands together and scratching at my arms. At work I was low, real low, I was close to tears most of the time and feeling more lost than I had ever felt in my life, I was a mess. On the Thursday evening I was at the Architect’s and it wasn’t hard to see I wasn’t really with it, we discussed what was going on and I explained everything. Then in my head I hatched this cunning plan, if I spoke to Gareth, Victoria’s Pastor, I could tell him how sorry I was and he could help talk Victoria around to trying to sort things out between us. But then when I got home and once more tried not to drink, yet failed miserably and apologised to Victoria profusely as I walked out the house and to the shop to fetch more alcohol, I realised speaking to Gareth was the best idea I’d had in a long time, but the focus changed, no longer about Victoria, this was about me, I had lost control and I needed help. I asked Victoria if it was okay with her if I spoke to Gareth, I was struggling and needed help, a request to which she agreed, I would never have gone to Gareth without asking her first. Obviously the following Sunday was a big low point, that day I stood looking deep into my own dead eyes, seriously considering the end of everything. The bright point of that day was when Victoria came home, she gave me Gareth’s number and said she had explained things to him, he would be expecting my call. So the next day I made that call and met with Gareth. When he came round he stated straight away that this meeting wasn’t about God or religion, it was about me getting whatever help I needed. He asked questions and listen patiently to my broken answers, between all the tears and oh yes there were a lot of tears. He spoke of one verse in the bible whilst he was with me, the story of Jesus calming the storm, he asked if I was okay with him praying for me, which I agreed to. I mentioned how I felt I should have gone to Church the day before, he said I was welcome any time, even if I only wanted to sit quietly at the back. So ten days later I took that last drink, then I felt like I was ready to give Church a try. I didn’t really know what I was expecting, I spoke with Victoria the day before, said I was going and would make my own way. That day I walked in nervous, afraid and unsure. I took a seat quietly at the back, in fact I took the furthest seat from the stage I could find, a seat which I sat in every week for the next six months, until I joined the A.V. Team, my seat now is my camera station. The day I chose to go, Gareth wasn’t there preaching, instead his father Ken was. I stood silent and still through the worship, just observing all around me. What Ken preached made me feel straight away that there was a connection and I had found what I was looking for, he preached on the very same verse Gareth had spoke of, Jesus calming the storm, talking about the need to face the storms in our own lives, just as Gareth had spoken that night in my living room. During the preach I got this immense feeling inside, a warm feeling in my chest, a kind of burning, I can’t remember how many times I cried during the services, it was a fair few. One the way out I walked passed James, we had met just once before, at my house after Eve’s confirmation just one year before. He recognised me from that one meeting and walked over to me, he asked why I was there and I told him everything. We swapped numbers that day and over those first months, he would text me every few days to see how I was doing and indeed when I was struggling I texted him for help. I am so thankful for that friendship, it helped me through some dark times in those early months, especially during the pain of withdrawals, when I was close to giving up, he was I rock that I needed to rest on. But when I left Church that day I kind of knew that I had found what I needed. The next Sunday was Easter Sunday and that was the day I raised my hand to accept Jesus into my life. Having said that, I raised my hand over the next two weeks too, I felt like I wasn’t really getting what it all meant and that I wasn’t really doing what ever I was supposed to be doing correctly. On that third time I met Jeremy for the first time, I remember telling him why I was there, I had made the choice that I wasn’t hiding who I was anymore, I was an alcoholic and I needed help, the Church’s help, I remember him distinctly saying that one day my testimony would help others in a similar situation find a way out too, I’m not sure he was referring to this Blog, but I know what he meant now. I’ve had some amazing experiences and met some amazing people at Everyday Champions Church, there are too many people to mention individually, but needless to say everyone I have met have been so supportive, they have all held me up when I’ve needed support and picked me up when I have fallen. One of the things I was most afraid of about walking into a Church, was as a sinner and an alcoholic I would face condemnation, be shunned or looked down upon, but not at the ECC, I could not have walked into a better place and found a group of better people to call my friends. When I had the calling to be Baptised and if you don’t know the story of my Baptism, I say calling because I had not planned to be baptised, I put it off, feeling I didn’t really understand what it mean and I wasn’t really ready for it. That day as I left for Church, I looked out at the weather and it looked like rain, I remember distinctly thinking to myself, I won’t take a coat, I’m not bothered if I get wet today. Still I took that same seat in the same corner at the back of the Church, content to see what actually happened at Batpisms and what it meant. Victoria and the kids weren’t there, they had gone to a family birthday party, so it was just me, watching, listening and learning. Then after worship when Gareth stood up and said God had challenged him that someone in this Church would make a decision to be baptised today, he said he had never had anyone just do it on the day, but if someone did, they would find some clothes and towels, he didn’t know where from, but they would find something. At that point, I froze in my seat, almost as if I was unable to breathe, I realised then that He was talking to me, I mean, not Gareth, but God, the feeling inside was unavoidable, I had never felt anything like it before or indeed since. I found Gareth straight away, tapped him on the shoulder and just said “okay, where do I get a spare set of clothes!” He was taken aback, shocked, but seemingly excited. Later in the service they called up the three people who had actually made their decisions weeks before, they had prepared and drafted a testimony to be read out on stage. At this point I wasn’t sure if I should be up there or not, Gareth didn’t call my name, I guess he thought I wouldn’t be prepared for that, so after another internal conversation, I stood up walked onto the stage and gate crashed the party. I told everyone there my testimony and immediately felt like the chains had broken, freedom. After being baptised, a towel appeared and a bag of clothes, I didn’t know where from at the time, but just as Gareth had said they would find something. The only thing was, I had no spare underwear, so I put the dry trousers over my wet underwear, unfortunately my underpants soaked through to the trousers and it look suspiciously like I had wet myself! I’ve had some great days in Church, that day of my Baptism probably being the best, but I’ve also had some low ones. Now don’t get me wrong, this is nothing to do with the Church, the people or the services, this is me, when I’ve been at a real low, I tend to make my fear greater than my faith, then I just end up being a blubber mess once again. But as always, there is always someone to throw an arm around me, to pray with me and encourage me. On that day 125 weeks ago, I really didn’t know what to expect or what I would find, what I found was some amazing people, essentially a family and a home. This entry was posted in Faith, Sobriety and tagged Alcoholic, Alcoholism, Awakening, Baptism, Christ, Church, Everyday Champions Church, Faith, Freedom, Friends, God, Hope, I Have Decided, Inspiration, Jesus, Prayer, Recovery, Sober, Sobriety, Starfield on August 24, 2014 by waynemali. Baptism – Choice or Calling? During yesterday’s service at Church the upcoming Baptism Sunday was announced and a short interview was conducted with a couple of our Church members, where they discussed their respective decisions to be Baptised after becoming a Christian. I always find other people’s stories of their testimony and things from their journey interesting, I found it particularly interesting when they discussed their choice and that they felt it was a natural progression of their faith. The issue for me is that I can’t relate to their “choice” as such, as my Baptism experience was so different, indeed my choice was that I wasn’t ready, I decided it wasn’t my time, I didn’t know or understand enough of what it meant to be a Christian, I was only three months into my journey, I honestly didn’t really know what it meant and I didn’t make any moves to find out, I chose to sit back and watch and wait. Even that very morning of my Baptism, I still was happy with my “choice” to wait, I was comfortable with that. But that morning everything changed, I still didn’t know what was going to happen when I reached Church, it felt different, but I wasn’t ready for what would happen. I still don’t actually think it was a decision or a choice, it was a simple answer to a question that could hardly be ignored. I’m not a impulsive kind of guy, I don’t make snap decisions, I stew on things, work them over and let’s face it, I had already done this over the previous weeks and come to the decision that I wasn’t ready. There really wasn’t time to stew on it, it was a there and then thing, don’t think, just do! The rest is history really, at my first opportunity I found Gareth and let him know I was ready. Later I jumped on stage to tell my testimony, I still to this day don’t think I should have been there, but it felt right, there was no nerves because there was no real time to think about it, just get up and do it. I’m convinced that day wasn’t so much a choice, but a calling, I really and honestly didn’t think I was ready for such a step, but someone else did and that someone wasn’t Gareth! That day and everything that happened, is one of my best days of my life, a day I wish I could relive everyday, a day I will never forget. If I had the chance to go back to a few weeks before that day and change my decision, would I do it? No, I wouldn’t, that day is special, that call is special, I just wouldn’t change a thing! Waking up before the sun came up, was a fight that I would lose. To fall in love without a heart must be the hardest part for you. If I could change anything I’d change everything but you. Please promise me you won’t change a thing. Lay me down before this flame goes out and darkness fills the room. Won’t make a sound with little ears a round and love begins to bloom. Even if we fail tonight, I know I know I know we did what’s right. Yes I’d like to see them try. You won’t change a thing. This entry was posted in Faith and tagged Baptised, Baptism, Christ, Church, Don;t Change A Thing, Everyday Champions Church, Faith, Freedom, God, Inspiration, Jesus, Seabird on March 10, 2014 by waynemali. Let’s just say in my 40 years I’ve had some great days, some really special days like the birth of my two kids and meeting Victoria, then memorable days like the passing of my black belt, winning the National Championships twice, competing at the world Championships in Australia, these were all great days that will be treasured forever, certainly a lot better than today anyway, this has it’s fair to say been my worst Christmas Day ever, without fail, but that’s another story. But as for being able to enjoy the best day ever, well I’ve believe I’ve already had that, all of the above where indeed unbelievable days, but the day of Sunday 8th July 2012, will never be beaten for me, it was just perfect, that day I can honestly say that God spoke directly to me and for the first time I heard Him loud and clear. It was just your normal Sunday morning, but there were a series of odd things that were to happen on this day, as I got ready for Church, I looked out of the window to check the weather, well it was overcast, it looked like it could rain, I had just my jeans and a t-shirt on, so I checked the weather on my phone, overcast and a chance of rain, so do I take a coat? As I walked through the kitchen towards the back door an odd thought came into my head, “I not taking a coat, I don’t mind if I get wet today!” Okay, so no coat, it wasn’t that cold, but a bit of an odd thought, but that’s it no coat, let’s go then. I walked to Church in my usual, slightly odd looking power walk, well okay freaky looking, walked into Church, hugged a few people on the way, hang on a second, did I just say hugged a few people, yes, yes I did, but that’s not usually me, I surprise those I hug, just as much as it surprises me, this day is getting stranger, but it’s about to get even weirder. I take my seat, at the back left corner as usual, if you walk into our Church, you will find me quite easily. Today wasn’t a normal service, it was Baptism Sunday, this had been announced some weeks earlier, I had thought about it, but as I had only been in Church three months and still felt like I had a lot to learn, feeling that I wasn’t ready yet for that step, I had decided to put it off until later in the year, when I had more time to prepare. The service starts with Worship as usual, three lively songs, then Gareth our Pastor takes the stage, he announces it’s Baptism Sunday, but then makes a statement he says he has never made before, at this point everything changes, the weird, just gets weirder! Gareth challenges everyone, that in this Church today someone will make the decision to get Baptised today, an on the spot decision, it had never happened before, but Gareth had a belief that something amazing was going to happen today in the presence of God. Now at that point everything changed, I froze, I literally froze, I couldn’t breathe, my lungs, my heart, my chest had just frozen, everything felt cold, the air was gone for that moment, then it went. I knew then that He was talking to me, not Gareth, he just mouthed the words, God was talking to me, he was calling me out, he was telling me it was my time to stand up and be counted. Gareth proceeded to say that they would find a change of clothes and a towel, he didn’t know where from, but they would provide somehow. I stood frozen to the spot as Gareth left the stage, we sang one more song and then a break for a short time to meet and great friends, I stood there absolutely still, oblivious to anything going on around me, having a conversation with myself in my own head. “He’s talking to you, God is talking to you, what are you going to do about it?” “Are you doing this or what?” There was only one answer, “YES”. I looked around the hall, spotted Gareth and set off, ignoring every face I passed, I was on a mission, I interrupted Gareth, he turned and I just asked “Okay, where do I get a spare set of clothes?” He realised what I was saying and it was all agreed, too late to back out now, in for a penny in for a pound. I went back to take my seat, I had a grin bigger than a Cheshire Cat, I couldn’t believe what I had just done, I’m never that impulsive, I don’t work that way, but things were happening here that at the time I couldn’t understand, but I was going with it. Part of the Baptism service is that, each of those who have made a decision to be Baptised, prepare a statement of how they came to God and tell their story on stage, so Gareth called out the three people who had made the decision some weeks earlier and were prepared, I don’t think I was supposed to go up there, I hadn’t prepared anything, I was still reeling from what had already happened, but again impulse took over, I stood up, marched to the stage, took Gareth completely by surprise and joined the other three, I was literally lifted from my seat to that stage, my normal self would never have done this, but today was quite obviously, no normal day. Speaking on stage, in front of a couple of hundred people, is not easy, the three before me had written statements that they were reading, but they were struggling with nerves, they were quiet, losing their track, even unable to read their own writing, as each one got more nervous than the previous one, I stood waiting my turn. I am out of my bubble here, this is not me, I don’t act impulsively, I don’t push myself to the front in places I’m not comfortable, but it wasn’t like that today, I wanted that mic, I wanted to speak, not sure what, but I had something to say. I took the mic, looked out to the crowd, not down, not avoiding the gaze of the crowd, I was looking them in the eye, I told them how my life had collapsed, I told them I had been an alcoholic for the past 3 years, I told them how I made the hardest phone call of my life back in March when everything had felt lost, how I had met Gareth and Alex, telling them just about everything. “That night I took from them an hour and half of their lives, in return they gave me the keys to the rest of my life and the strength and courage to unlock the door and go through it, to a better life”. I say these words with strength and passion, the response from the audience is fantastic. I proceed to tell them when I quit drinking and how things were getting so much better, then passed the mic back to Gareth, then it’s back to my seat and relief. The response from everyone I meet as I go back to my seat is unbelievable, I don’t think at this point they know I wasn’t supposed to be there, they had no idea that I had answered the call. The word is next and then the Baptism at the end of the service, we are called up, I remove my shoes, socks and the contents of my pockets, ready to enter the Baptism Pool, firstly the three who were supposed to be there, then me, then another man who had made the decision after I did. It’s my turn, I climb the steps, then just jump in, no dignified climb down into the cold water, like everybody else, not for me I can’t wait, I just jump in and take Joss and Alex, who are carrying out the Baptisms today, totally by surprise, then I’m in position, I relax, then I’m under, it’s a total rush, a moment I can’t easily describe, if you’ve been there you will understand. I was soaked, I had no spare clothes, but who cares, it’s was alongside the birth of my two children, the most glorious day of my life. The rest of the day was a bit of a blur, I know I just couldn’t stop laughing to myself, I was in amazement at the things I had done throughout the day, things I would not normally do. I had made my mind up, I wasn’t ready, but that didn’t matter, it wasn’t a case of I didn’t think I was ready because the Lord did! I think I was called because of the faith I had shown the previous day, that was my test, that was a test of faith, I had hopes and dreams, I had failed, but my response was, I trust you, I will follow your plan. I wasn’t to worry about getting wet that morning, he would provide, I would be getting the greatest soaking of my life, what was a little rain compared to that! He did provide, I had clothes brought to me, I don’t know where they came from, but they appeared. There will be great days to come, the day I dream of, the day I hope and pray for, if that comes to fruition it will be another day to remember and treasure forever, but Sunday 8th July 2012 is the day when I came alive, for that I will be forever thankful. This entry was posted in Daily Prompt, Faith, Sobriety and tagged Alcoholic, Alcoholism, Alive., Awakening, Baptism, Christ, Church, Everyday Champions Church, Faith, Freedom, Friends, God, Inspiration, Jesus, Kim Walker-Smith, Prayer, Rebuilding, Recovery, Sober, Sobriety on December 25, 2013 by waynemali. It slowly dawned on me over the weekend that another anniversary was looming, it’s taken some coming down after the exertions and emotions of the National Championships last weekend, but that was brought back down to earth this weekend with work, but now I can relax and enjoy the memories of what was just a fantastic day one year ago. It has been a busy weekend, over Saturday and Sunday I’ve been working on some architectural drawings, over 20 hours to be exact, stuck inside on the hottest weekend of the year so far, with late night endings of 11pm Saturday and 10.15pm last night, but I finished the drawings and took them in this evening, job done and done well. So today is the anniversary of what for me was probably the greatest day of my life, last Saturday was great, but this day last year was off the scale, only rivalled by the arrival of my two wonderful children. 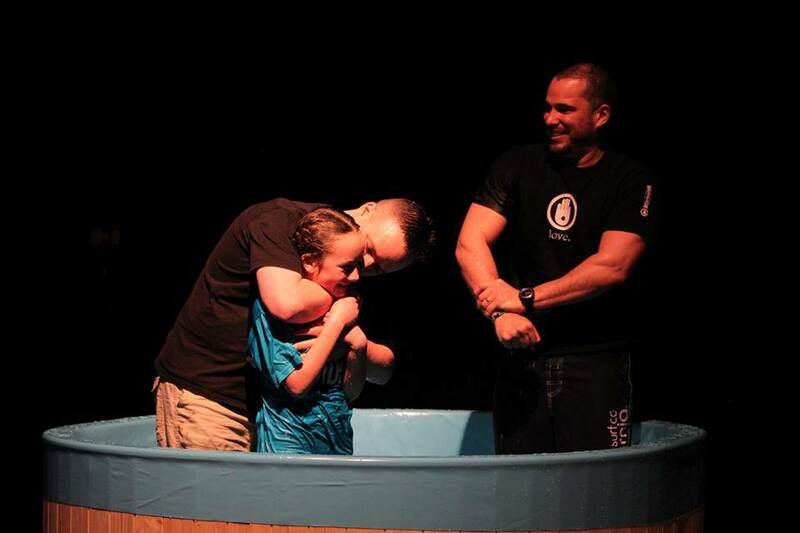 Has it really been a years since my Baptism, the memories seem so fresh, they seem like they were just yesterday. I’ve written about the full story of my Baptism in my post With the Correct Faith, Yesterday’s Failures Can Become Today’s Victories, so I won’t rewrite the whole story here once again. The whole day was just so surreal, from leaving the house, looking out at the weather wondering whether I should take a coat or not, then that strange thought “I won’t take a coat, I’m not bothered if I get wet today!” At that point I had no intention of getting Baptised, I had considered it, but having only been in Church for just over three months and being so busy at the time with Karate, it just seemed too soon to me, I thought I still had so much to learn before I decided to make that decision, to be quite honest, I wasn’t even sure what Baptism truly meant or how it all worked, so I had passed the opportunity to go to the meeting about the Baptism and not registered or prepared for it. Even by the time I got to Church, I was still comfortable with my decision and happy to just watch the proceedings, see how these things work and what was required to be done before I made that decision, as I say I was still learning and really didn’t think I was that much of a Christian at the point, I was just attending Church and doing my best to walk away from the my addiction and the monster I had become. When Gareth spoke and challenged everyone, when he said he felt today someone during the service was going to make that decision to be Baptised that very morning, I just froze, I couldn’t breathe for a moment, the world stopped, that’s when I knew this was a message for me, this was God’s word for me. I’ve often felt during Gareth’s services that his message is directed to me personally, I know it’s not, but I just hold on to things especially when it highlights the mistakes I had made in my life up to that point. But at this moment, I knew this was a direct message for me, not from Gareth, but the feeling I had, that inner feeling, I just knew it was telling me to stand up and make that declaration. It took only a few moments of deliberation, a conversation with myself, that “are you going to do this?” sort of thing, then it was a now or never thing. I’ve so often fought my inner self and given in, but today I wasn’t going to, I was going to be the complete opposite of my usual reserved self, I was going to be impulsive, I was going to ignore the doubt in my head, I was going to do this and it was really a now or never sort of thing. So I found Gareth straight away and just simply asked him where I could get a change of clothes. It took him by surprise, but he was genuinely pleased and probably as excited as I was. But I still had a bigger moment of impulsiveness to go through, when those who had actually prepared for this day, those that had registered and prepared their testimony were called to the stage, I went through another moment of deliberation. As the three people were called to the stage, I sat there not knowing whether I should get up and join them or not, I hadn’t prepared for this, Gareth hadn’t prepared for this and my name wasn’t called, but deep inside a little voice set get up, join them. So I just jumped and shot up on to the stage, taking the whole Church by surprise, including Gareth, but for some reason, beyond my usual reserved self, I got up there ready to speak out. And speak out I did, when it was my turn, it didn’t really matter that I hadn’t prepared, that I had written anything down or gone through this moment in my head over and over again until I knew what I was going to say, I just got up there and spoke. The words just came, from where I still don’t really know, but they were there and in front of a couple of hundred people, I confessed my downfall and my addiction, it felt like a weight was being lifted right there and then. It really didn’t matter whether I got wet that day, because I received the most glorious drenching of my life, a moment in time that I will never forget, a moment in time to treasure and when everything seems like it’s all too much, a moment I can look back at and know that I was called that morning, I was called by God, he knew I was ready when I doubted myself, he believed in me, then I should believe in him. 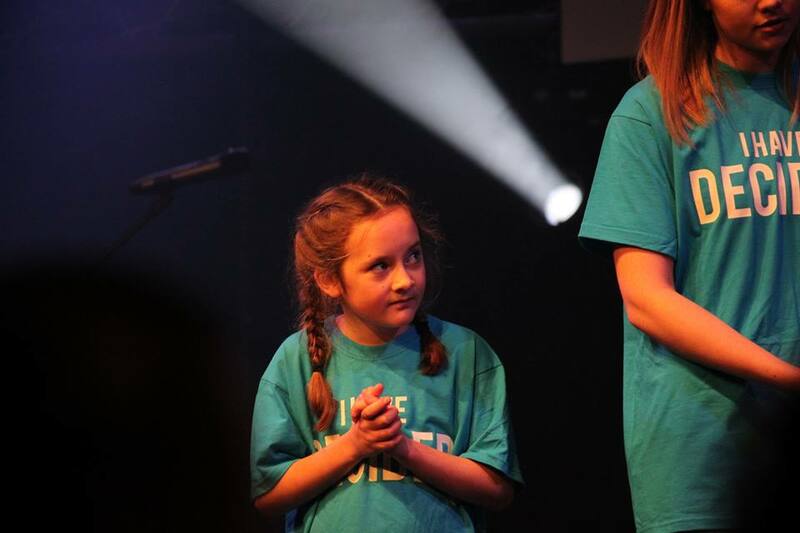 There was just one more stand out moment that morning, one more memory that holds so fresh, one I’m not sure I’ve ever mentioned to anyone and it happened right at the end of the service, just before the actual Baptism took place. As always our services ends with a worship song and usually one previously one sung at the beginning of the service, this song I had sang along with many times and even had a version of on my iPod, but as we sang the song, I came over with an amazing wave of emotion, at the part of the song with the lyrics “You caught my soul when I was struggling to breathe” I just broke down into tears, happy tears I think, I still don’t understand why, why that song, why that lyric, but even to this day, when I hear that song and that lyric, it brings tear to the eye with the amazing memories of that day, one year ago. This entry was posted in Faith, Ramblings, Sobriety and tagged Alcoholic, Alcoholism, Awakening, Baptism, Celebration, Christ, Church, Faith, Freedom, Friends, I Belong To You, Lincoln Brewster, Rebuilding, Recovery on July 8, 2013 by waynemali.